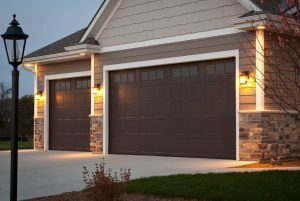 There is a pretty fair chance that you have a garage door if you are a homeowner or even a business owner. Now that the new year’s celebrations are over, it is time to get back to work and have a great 2018. There are a lot of things that can be made new again or even just replaced to make sure that this happens. One of them is your garage door. It not only protects your garage and your vehicle, but also the rest of your home! Think of it as a larger version of your front door. You would not stand for a front door with holes or that did not open right, would you? So why put up with it from your garage door? There are also other things you can do with your garage door like adding a backup generator and upgrading to a newer, quieter garage door opener. There are plenty of great ideas for your garage door and the start of a new year is a great time for them! Fun fact, your garage door has a lot of moving parts and none moving parts. Another fun fact, they all will break and wear out eventually. Between the weather and almost constant use, your garage door takes a lot of punishment over time. It really takes one for the team, or the house, in this case. Some parts are dangerous if they get too worn out, like garage door springs and garage door tracks. When a garage door spring breaks, it literally lets loose the entire weight of gravity on your garage door. The spring itself could take off a limb or do serious property damage. It is usually best to take care of damaged or worn garage door parts before you consider anything else. Upgrade Your Garage Door In 2018! After you have made sure your garage door is in good working order, you can start thinking about upgrading it. 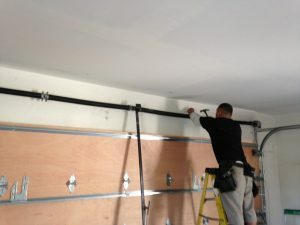 Of course, you do not need to worry about fixing a garage door panel itself if you are planning to replace it. The same goes for your garage door opener. Usually, there is no repairing a burnt out garage door opener motor, anyways. The new screw drive garage door openers are much quieter and a bit more energy efficient, so consider having one of those installed. You can also upgrade the rest of your garage. Add side or ceiling storage racks to keep your garage a little tidier. Above all else, be creative with what you do. Keep it within reason and you could even raise the value of your entire home! Your new garage door won’t just look good to you, but everyone else driving by as well. 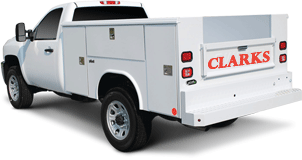 Clarks Garage Door & Gate Repair Has The Deals! When it comes to garage door repair and garage door installation, (877) 622-8183 Clarks Garage Door & Gate Repair is who to call. We are currently offering a new year deal of 10% off a new garage door! Need to replace those old garage door springs? We are offering $50 off your purchase of a set of garage door springs. If you are interested in the new screw drive garage door openers, those are also $75 off for the start of 2018. Just give Clarks Garage Door & Gate Repair a call today and to get started! We are always happy to answer any questions or concerns you may have!